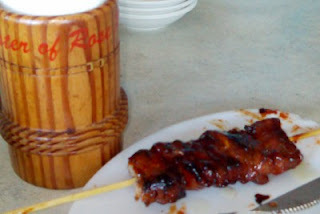 Speaking of barbecues, I can't help but remember the Spare Ribs Barbecue at Grace, Sister of Rose Restaurant (Seafoods & Bulalo). It looks like any ordinary pork barbecue skewer. This one though is spare ribs. I just love the sauce that they slather this barbecue with, which they do rather generously, making it extra tasty. Bad news for those on a "no rice" diet because you will be forced to eat a lot of rice with this dish. 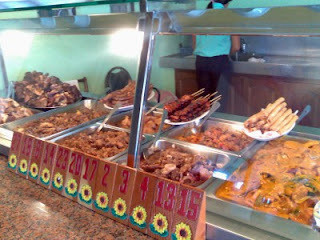 Each time I go to Laguna, I always make it a point to have lunch at this restaurant and order their Spare Ribs Barbecue. It always makes a long and tiring trip a lot bearable. Their menu consists of classic Filipino cuisine, rather ordinary, actually, but the taste is so topnotch that you will keep coming back for more. Their specialty is the Nilagang Bulalo, but if you don't feel like hot soup especially on hot summer days, you can always choose from an eye-popping selection of equally great tasting home-cooked meals. 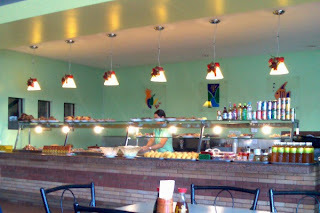 Choosing your meal will be very difficult because every single one in their menu is good. 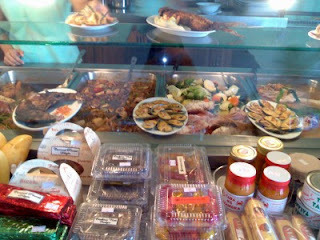 Some pasalubong to bring home to your loved ones. 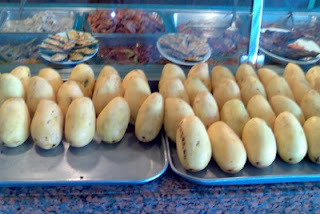 Extraordinarily sweet Philippine Mangoes. Nothing like it in the world.